What’s going on in our world? Why are suicide bombers attacking our cities? Why are shooters invading our workplaces and malls? Why are students attacking speakers at their colleges? Why are there two versions of the truth on the Internet and in the media? Michael Youssef, popular teacher and Middle Eastern expert, explains in detail what’s troubling today’s world. 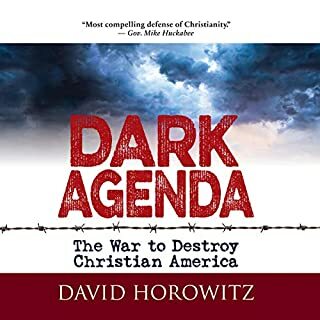 Aggressive secularism is stripping our nation of the vestiges of truth, as many Christians are browbeaten into silence. Striking parallels exist between the "Beast" of Revelation (the Antichrist) and the prophetic figure in Islam known as the Mahdi. Muslims view the Mahdi as a great savior who will lead a revolution and establish a global Islamic empire over the West. Both the Antichrist and the Mahdi are associated with the end-time and the Judgment. Both possess political, military, and religious power, and each heads up a one-world religion. They were just ordinary people - a loyal servant, a woman who desperately wanted a child, an old man who still had hope, and a young teenager who couldn't quite believe God's great love. Ordinary people who prayed extraordinary prayers to an extraordinary God. Life-Changing Prayers tells their stories and shares their desperate, hopeful, and gratitude-filled prayers, inspiring and emboldening listeners to ask God for the desires of their own hearts. Is it really possible to live fearlessly in such troubled times? Dr. Michael Youssef points to the first-century church, guiding you through the practical wisdom and powerful hope found in 1 and 2 Thessalonians - Paul's letters to believers who lived in a hostile world. For decades Americans were vaguely aware that Islamist barbarians were in the deserts of the Middle East and in the mountains of Afghanistan and Pakistan, executing "infidels" and raiding villages with unrecognizable names. The Muslim world seemed far away, remote, and irrelevant to our daily lives. Then came the terrorist attack of 9/11, followed by attacks at Fort Hood, the Boston Marathon, San Bernandino, Orlando, and more. Now terrorists seem to be emerging everywhere, unleashing senseless death and destruction on our nation. The signs are unmistakable. 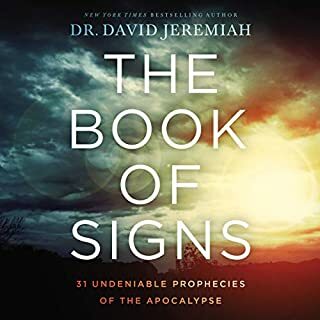 Jesus said there would be clear signs in our world before his return. Over the last few months and years, as we read headline after amazing headline, those signs seem to be escalating. Could Christ's return and our world's final days be very far away? Greg Laurie opens up the Scriptures, offering insight, warning, and encouragement to "make the most of every opportunity" in these challenging days. Radical Islam has been waging war against our global civilization throughout history - and now, it’s closer than ever to American soil. 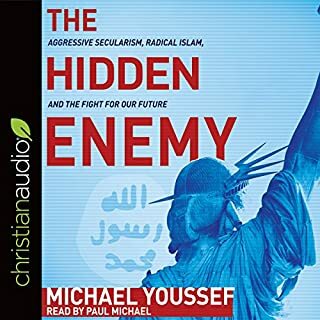 Dr. Michael Youssef, a Coptic Christian who was born in Egypt and now leads a megachurch in America, knows from firsthand experience that radical Islamists have goals that many American Christians believe are “unthinkable”. In this book, he warns Western Christians that it doesn’t help to ignore what’s going on. There’s a third jihad underway, and its goal is to take over the West. The Third Jihad is a call for Christians to defend their families, protect their nation, and boldly share the good news of Jesus with their communities - especially their Muslim neighbors. Packed with surprising insights from history, compelling and dramatic stories, it is a practical agenda that one person - or one church - can immediately put into practice to make a difference in the world. 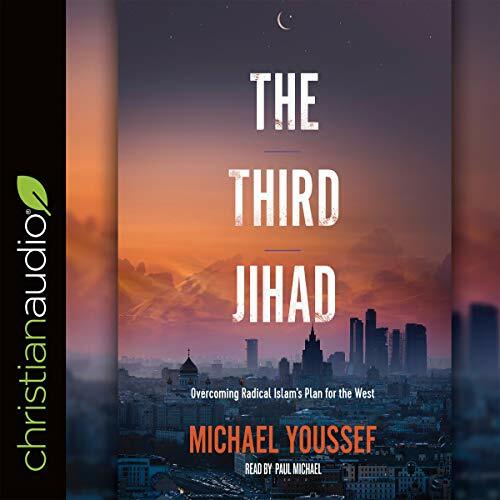 Rich in encouraging biblical principles and prophetic insights, The Third Jihad leads the listener to an empowering conclusion in our troubling (and even frightening) times. 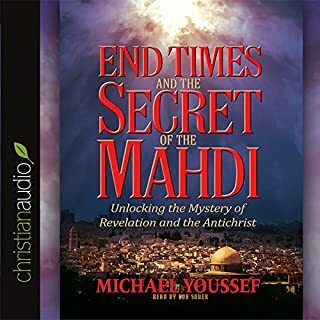 Michael Youssef’s insights will inspire Christians to take their faith seriously, share their faith freely, and to truly be salt and light in a world of increasing darkness and decay. Between Dr. Youssef's first hand experience, being born in Egypt, and his unending Historical research, he has become a very dangerous man for those trying to suppress the Truth. 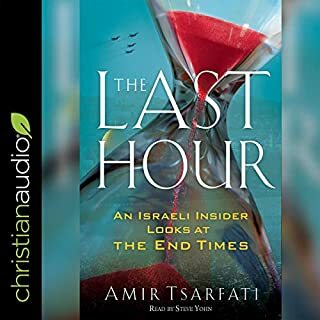 This book is an excellent balance between Terrifying historical recounts, possible future outcomes should we fail to correct our path, as well as encouraging preaching of the love, peace and strength of the One True God of Abraham Issac and Jacob, through the salvation provided by Christ Jesus. Dr. Youssef is careful to explain there is a difference between true moderate Muslims and Islamists. but the dangers that exist in the foundations of the Muslim religion and the Muslim "civilization" which at its core is fundamentally contradictory to Christianity, the Constitution and the entire Western Culture of Liberty and individual freedom. it is our responsibility to change hearts through the Joy that can only be found through Christ. "Our struggle is not against flesh and blood." Wonderful and horrifying History of Islam(Submitting) ! I have read a half a dozen books about SUBMITTING, and the history in this book has more detail than I have read before. Dr Youusef your Book was fantastic, but I’m sad to say you are missing a chapter. You are correct, of course, that the Bible says the governments should protect the people, like parents are supposed to protect their children, but you don’t see how they are supposed to do that. The United States of America by its constitution, separates state and church. God blessed the people of Europe by giving them the USA. The government is not to preach the word of God, but defend the Constitution and the people that are citizens of the USA. You did not share any wisdom of how the government is supposed to do that. So this book is just historical fact, with a nice chapter 11 and 12 for us to be passive Christians. Your book basically says prepare to be overrun by submission, eventually, by Muslims.I feelYou missed a great opportunity here to teach the government. Narration is excellent. Very informative viewpoint, albeit biased. Enjoyed this title very much and would recommend for those interested in learning a new way to see the changes in culture today. Hello, I believe that this book should be a MANDITORY read in every local high school, college and university. This is information that needs to be put out there infront of everyone. I see daily directly and indirectly the result of Islam both radical and political. As stated Christianity is seriously in trouble, we most certainly need a revival, we need more pastor and preachers to help teach us how to pray. Michael and people like him do what they can we Christians need to help get this information to the main stream and not be afraid of non believers who are offended. Get to them and find out why they're offended and get them to understand what the bible says. Love and Peace. 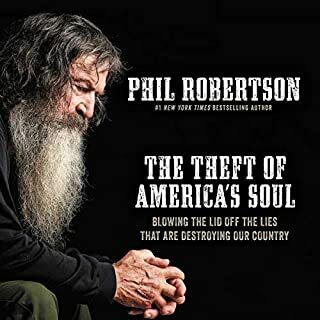 A must read (listen) for any parent or grandparent who cares about the world they leave their children and grandchildren. While starting to stand up and quit quietly yielding to political correctness. It is time for a revival! Once again Yousseff gives an in depth review into the growing problems that we face, but also offers hope in Jesus Christ. Excellent resource! Highly recommended for everyone! Packed with powerful truths.. it's a must read!